Graphic courtesy GV Sports Info. DES MOINES — The Grand View women’s basketball team circles one game on their schedule each season to share awareness on cancer. This year the team has decided to dedicate the game to a supporter who is close to their hearts. 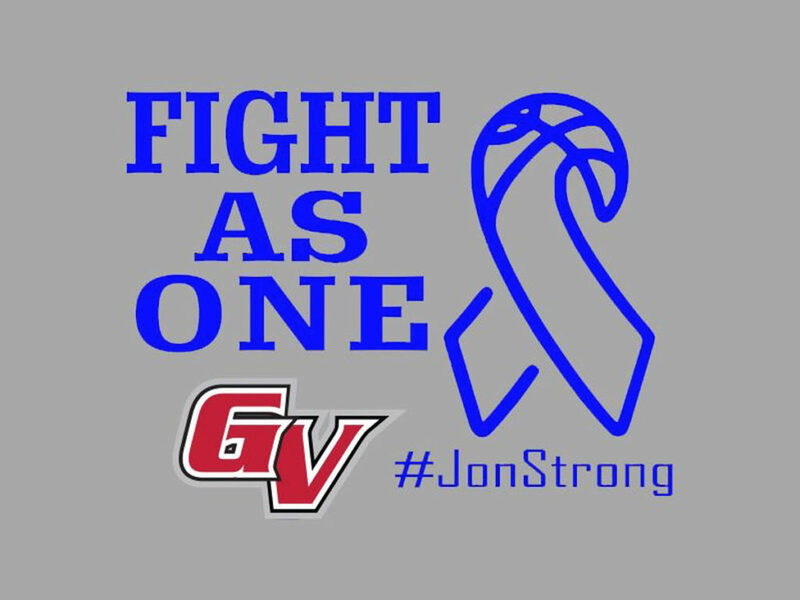 Jon Danielson, who is currently battling cancer, will be honored at Grand View’s game against Mount Mercy on Wednesday, Feb. 13, 2019. Danielson’s daughter, Rachel Danielson (JR/Mason City, Iowa) is the Vikings point guard. Cancer first struck Jon Danielson in January of 2015 when he was diagnosed with stage four colon cancer. The doctors also revealed to him at the time that the cancer was in his lungs as well. A month later (February 2015), Jon had surgery to remove part of his colon that was affected by cancer. In March 2015, he began chemo treatments and a year later he traveled to Chicago to visit the cancer treatment center of America. Jon stayed there for one year and then traveled to Mayo in Rochester, Minnesota for additional trial drugs. Over the past four years, Jon has been on 10 trail medications. His last stint with chemotherapy was in August 2018. During Grand View’s trip to Florida for two games in December 2018, Jon and the Danielson family was notified that there was a tumor in his brain. They stayed in Florida and continued to watch Rachel and the rest of the Vikings compete in the Cruzin Classic. “My dad LOVES to watch his children compete in ANY sport, ” Rachel continued. “He just genuinely LOVES being around people and socializing with them.” Upon the families return from Florida, Jon had successful surgery to remove the softball-sized tumor from his brain on December 27. Throughout his numerous battles with cancer, Jon and his entire family and friends have utilized the hashtag #JonStrong. The Vikings will be wearing commemorative shirts on the 13th with #JonStrong in blue writing, to reflect the color of colon cancer. 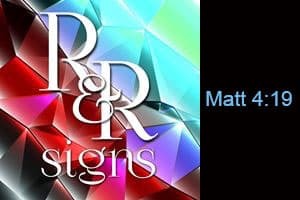 There will be various opportunities to raise money in awareness of cancer on the 13th including the commemorative t-shirts that will be available for purchase. 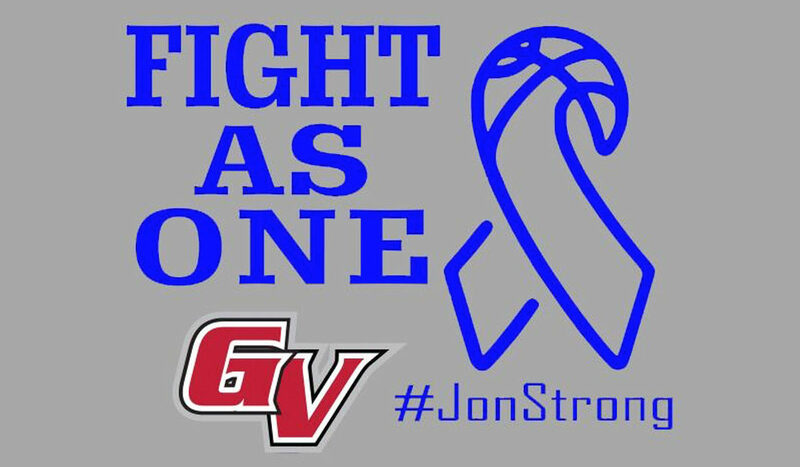 The Vikings extend an invitation to everyone to attend the game on the 13th to support Jon and the entire Danielson family as they continue to battle cancer.